Our group aims to assist with reserve management to protect the natural values and cultural heritage of Melaleuca, while retaining the essential spirit of the place. We aim to undertake practical projects involving general maintenance work on heritage listed buildings as well as Parks and Wildlife Service facilities. Melaleuca is an area of both natural and cultural interest within the South West Conservation Area, in far south west Tasmania. There are no roads, and access is by light aircraft, boat or on foot. In January 2009 Melaleuca was permanently registered on the Tasmanian Heritage Register. The listed site includes the homestead, garden and outbuildings of tin miner and resident, the late Deny King (1909 – 1991); as well as the bushwalkers huts, bird observatory, representative sample of tin mine, mooring and channel markers. Our group aims to assist with reserve management to protect the natural values and cultural heritage of Melaleuca, while retaining the essential spirit of the place. We undertake practical projects involving general maintenance work on heritage listed buildings and relics of past tin mining activity, as well as Parks and Wildlife Service structures, tracks drainage and so on. We raise funds through grants, donations and events in order to realise these aims. 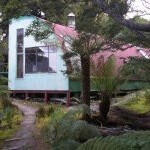 Friends of Melaleuca – WILDCARE formed in March 2009. We hold meetings in Hobart during the year and a working bee at Melaleuca anually in March. We seek to inform Wildcare members and visitors about Melaleuca. A recent big project was the creation of a museum at Melaleuca, the Deny King Heritage Museum, which houses objects and displays about Melaleuca’s cultural and natural heritage. The project was assisted by a grant from the Tasmanian government through Arts Tasmania and a grant from the Tasmanian Community Fund as well as from a number of private sponsors. We have had very positive feedback from visitors. Our interest extends to nearby Claytons Corner where we work on maintenance in cooperation with Parks and Wildlife Service and the Friends of Claytons group. In 2015 we installed display panels telling the story of Win and Clyde Clayton who lived there. It’s Friends of Melaleuca’s 10th anniversary! Join us for a Birthday dinner followed by a meeting that will celebrate the past 10 years in pictures and launch our new greeting cards. We will let you know about the latest changes in Wildcare and discuss our 2019 Working Bee.